DOES THE QUR’AN CONTAIN EVERYTHING? - GÜLEFENDİM - [ EN SEVGİLİYE ] İman, Hakikat ve Huzur Yolu..! DOES THE QUR’AN CONTAIN EVERYTHING? Ibn Mas‘ud says that the Quran provides information on everything but we may not be able to see everything in it. Ibn ‘Abbas, known as the Interpreter of the Quran and the Scholar of the Ummah, asserts that if he loses the rein of his camel, he can find it by means of the Quran. Jalal al-Din al-Suyuti, a significant scholar who lived in Egypt in the 15th century, explains that all sciences or branches of knowledge are to be found in the Quran. How can a book of medium size and which contains reiterations contain everything we need about life, sciences, conduct, creation, the past and future and so on? As is known, the Quran is a book of medium size and due to certain purposes it makes reiterations. So, how can it contain everything we need about life, sciences, conduct, creation, the past and future and so on? Before proceeding to explain this important matter, we should point out that in order to benefit from the Quran, which addresses all time and space and all levels of understanding from philosophers to sociologists and psychologists, from physicists to biologists, from lawyers to Traditionists and from spiritual guides to educationists, one should be prepared to benefit from it. A student of the Quran should, first of all, have firm belief in the Quran and does his utmost to practice it in his daily life. Second, he must try to refrain from sins as much as possible. Thirdly, the Quran declares that a man has only that for which he makes effort (al-Najm, 53.39), so, in order to benefit from the Quran, a student of the Quran should, in the manner of a good, experienced diver searching for coral or of a deep-sea explorer, dive into the ‘ocean’ of the Qur’an and, with no tiredness and boredom, he should continue his research until death. Fourthly, understanding the Qur’an requires a good command of the Arabic language and sufficient knowledge about all the branches of natural and religious sciences. 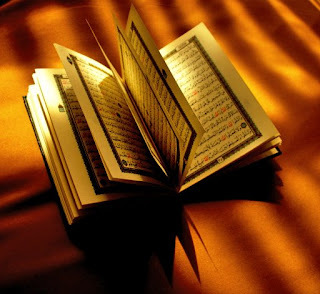 Therefore, a good interpretation of the Quran demands the cooperation of scientists from all the fields of natural and sociological sciences and religious scholars-experts on the Quranic commentary, Hadith, fiqh (Islamic Jurisprudence), theology and spiritual sciences. Fifthly, while reciting and studying it, a student of the Quran should regard him as the first addressee of the Quran. He should be conscious of the fact that every verse of the Quran addresses each of its students directly. If we consider, for example, its verses telling of the past events or the stories of the Prophets and their peoples as, simply, an account of certain historical events which has nothing to say to us, we cannot benefit from the Quran. We should know that with all of its verses, the Quran addresses us directly and describes us to ourselves. The Quran contains every thing but not in the same degree. The Quran pursues four purposes: it seeks to prove the existence and Unity of God, Prophethood and bodily resurrection and concentrates on worship of God and justice. In order to realize its purposes, the Quran draws our attentions to God’s acts in the universe, His matchless art displayed through creation, the manifestations of His Names and Attributes and the magnificent, perfect order and harmony in existence. Also, it mentions certain historical events, lay down the rules of personal and social good conduct and morality and the principles of a happy, harmonious social life. Again, it explains how we must worship our Creator and what we must do in order to please Him. The Quran also gives much account of the other life and expounds how we can gain eternal happiness and be saved from eternal punishment. · Everything is found in the Quran, but everyone cannot see every thing in it since the things are found at different levels. As the result of man’s progress in science and industry, some scientific and technological wonders such as planes, electricity, motor vehicles, and means of radio and telecommunication have come into existence and taken the most prominent position in the material life of mankind. The Quran’s viewpoint of life and the world is completely different from the modern one. According to the Quran, the world is a guest-house. Man is a guest with many duties who will stay there for a short time only, and he is charged with preparing all the necessities for eternal life. He will give priority to the most urgent and important of his duties. Therefore, whatever is designed and used mostly for worldly purposes, it will have very little share in servanthood to and worship of God, which is founded upon love of truth and otherworldliness, and therefore it will have a place in the Quran according to its merit. Religion is for examination, a test and trial offered by God so that in the area of competition elevated spirits and base ones may be distinguished from each other. Just as raw materials are put in the fire so that diamond and coal, gold and earth, separate out from one another, so too, in this arena of trial the Divine obligations are for testing conscious beings and putting them to a competition so that the precious ‘ore’ in the ‘mine’ of human potential may be separated from the dross. Since the Qur’an was sent for man to be perfected through trial in this abode of testing, in this arena of competition, for sure it will only allude to the future events pertaining to the world, which everyone will witness in due course of time, and will only open the door to reason to a degree that proves its argument. If it had mentioned them explicitly, then the purpose for testing men would have been meaningless. Simply, the truth of the Divine obligations or proposals would have been as evident as if inscribed with stars on the face of the skies. Then everyone would be left no alternative other than affirming them. There would be no competition, the testing and trial would mean nothing. A spirit like coal would remain together with, and appear to be of the same degree as, a spirit like diamond. Again, the Quran addresses all times and places and all levels of understanding. It is the commonalty in every community and in every age that constitute the great majority of people. Therefore, in order to guide everyone to truth and to its basic purposes, the Quran follows a style and language which is understandable to everyone. Again, the Quran addresses all times and places and all levels of understanding. It is the commonalty in every community and in every age that constitute the great majority of people. Therefore, in order to guide everyone to truth and to its basic purposes, the Quran follows a style and language which is understandable to everyone. As an ordinary man of the lowest intellectual level can benefit from the Quran, a greatest scientist, no matter to which branch of science he belongs to, also benefits from the Quran. This is also why the Quran usually uses a symbolical language and frequently resorts to metaphors, allegories, comparisons and parables. Those who are well-versed in knowledge (Al ‘Imran, 3.7) know how to approach the Quran and benefit from it and conclude that the Quran is the Word of God. If the Quran had mentioned modern scientific and technological discoveries, the people of earlier times would not have been able to understand them and therefore been deprived of benefiting from the relevant verses of the Quran. Also, sciences are in constant advance and what is regarded today as true may appear tomorrow as wrong or, by contrast, what we see today as wrong, may be proved to be true in the future. God Almighty has endowed man with intellectual faculties, so in many of its verses the Qur’an urges man to use those faculties of him and study nature and events. God Almighty has endowed man with intellectual faculties, so in many of its verses the Quran urges man to use those faculties of him and study nature and events. If, therefore, the Quran had mentioned, say, modern scientific and technological discoveries or everything pertaining to life, nature, history and man himself, it would have been meaningless that man is created as the best pattern of creation endowed with many intellectual faculties. For he would not have been able to use those faculties and improve them. If the Quran had mentioned explicitly whatever we like it to do so, then it would have been a book with hundreds of thousands of pages and therefore we would not be able to recite it completely to benefit from its spiritual enlightenment. Also, it would give us great boredom to recite. This is contrary to the reason of its revelation and the purposes it pursues.